Includes planning for the evacuation. Brief summary. Includes links to Charles Bean's official reports of the evacuation. Overall summary of the evacuation. A British perspective on the evacuation. 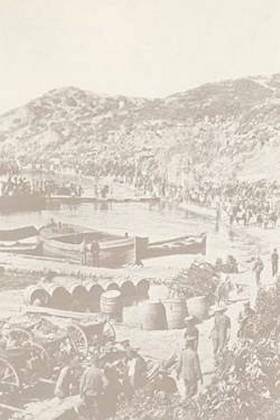 Five minute radio documentary on the evacuation of Gallipoli - New Zealand perspective. Letter from Corporal Edgar Worrall to his father about the evacuation from Gallipoli. The story of the evacuation, by Patrick Carlyon. Includes photographs.